Piglet survival during the first 3 days after birth is an important economic and animal welfare issue in commercial pig production. Piglets are born deficient of energy, but at the same time with a very high demand for energy for thermoregulation and physical activity. Litter competition poses an extra challenge for neonatal piglets to access the sow’s teats in order to suckle colostrum. 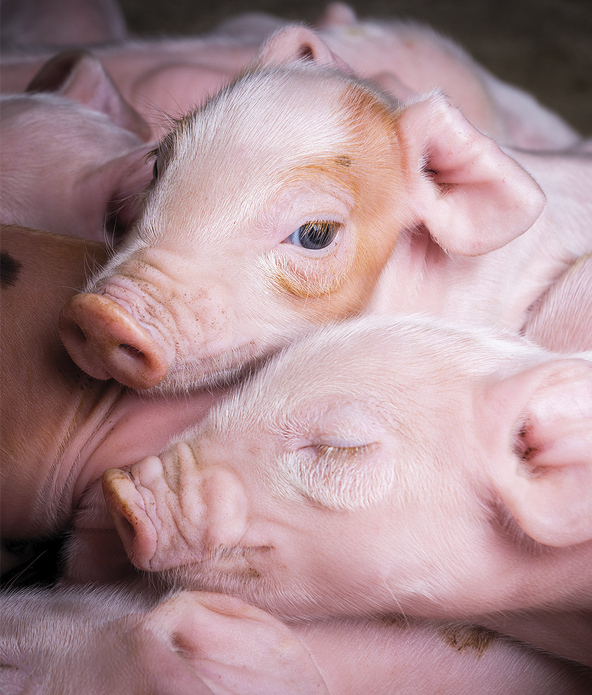 Energy and nutrient supplementation can be implemented in farrowing management to improve thermoregulation and enhance colostrum intake, leading to increased piglet survivability and welfare. The risk of developing post-weaning diarrhea (PWD) is high and causes serious economic losses in pig herds. Piglet diarrhea is managed with systemic injection of antibiotics. However, both legislation and bacterial resistance discourage the use of antibiotics and antibiotic growth promoters. The period after weaning is therefore a perfect target for an important step in antibiotic reduction. Innovad offers a range of feed additives to help the piglet keep performance during their stressful first weeks of life in the most difficult scenarios without antibiotics and ZnO.